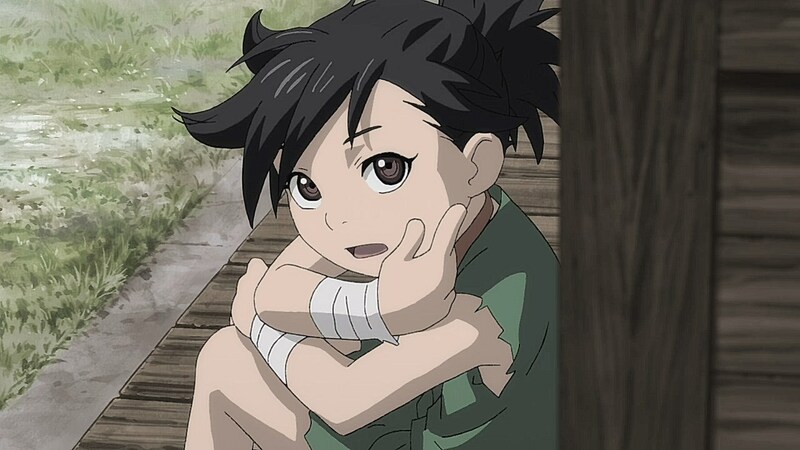 For Episode 04 of Dororo, Hyakkimaru must fight Dororo! 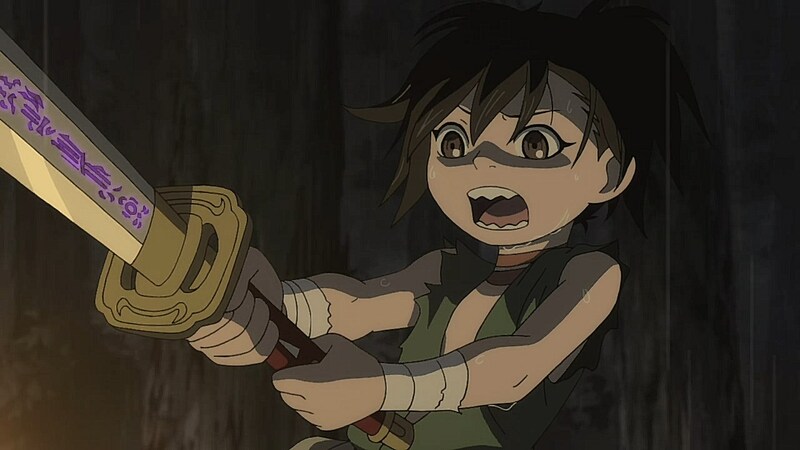 Or rather, he must disarm Dororo as he is taken hostage by the cursed demon sword Nihiru, which had already corrupted a man named Tanosuke. 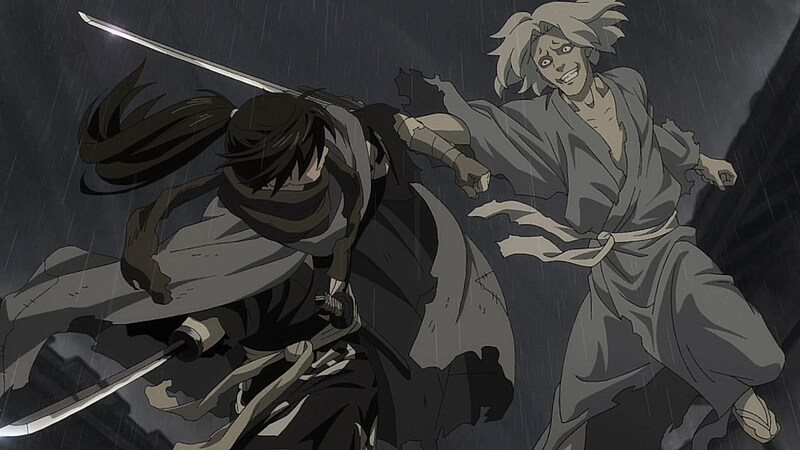 The episode is poignant mainly for how it continues to weave Hyakkimaru and Dororo through the stories of other characters they are surrounded by, and how Tanosuke is locked into his obsession with Nihiru despite his sister Osushi trying to regain the joy they once had with each other. 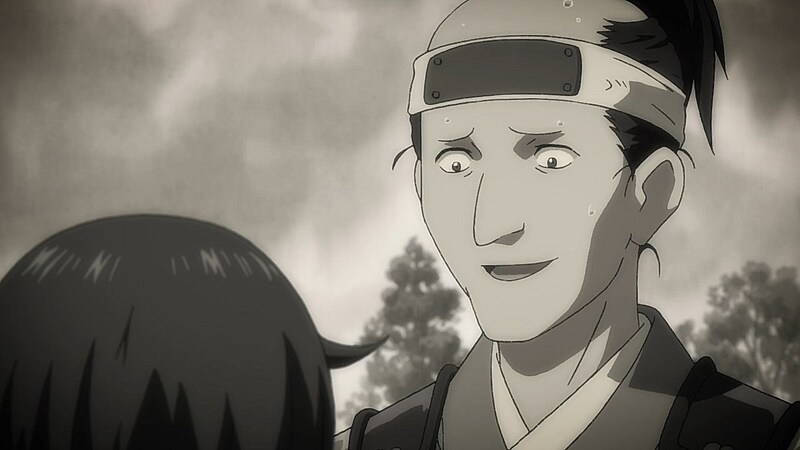 The brother and sister relationship between Tanosuke and Osushi is the backbone of the episode and it reflects on how the demonic entities of this universe can affect people’s lives for the worse. 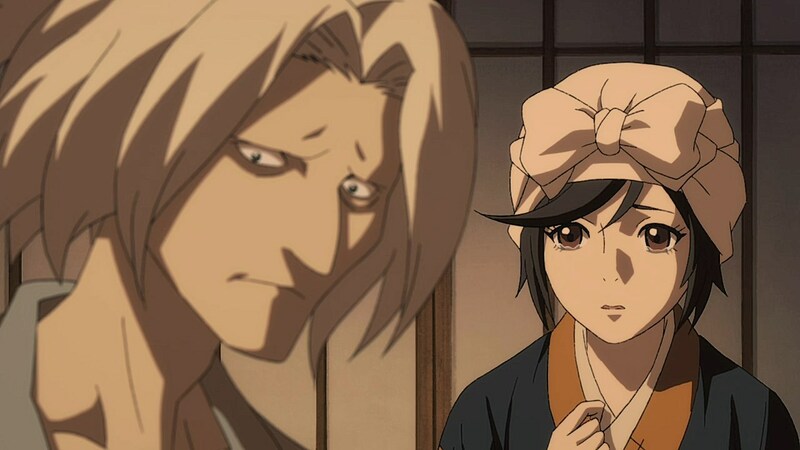 Tanosuke is afflicted by Nihiru unwittingly as he is ordered to execute men for a war he took part in out of his sense of duty. 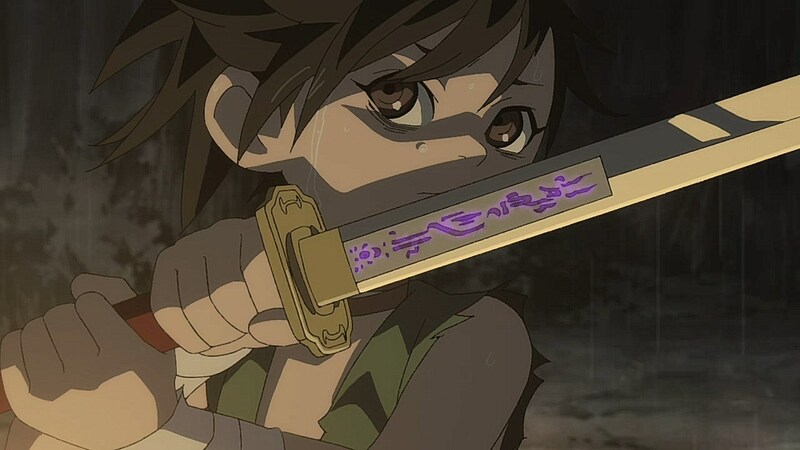 Using the demon blade’s ability to feed off of the blood of those it cuts, Tanosuke is corrupted by the sword as it drives him to murder all in his path. 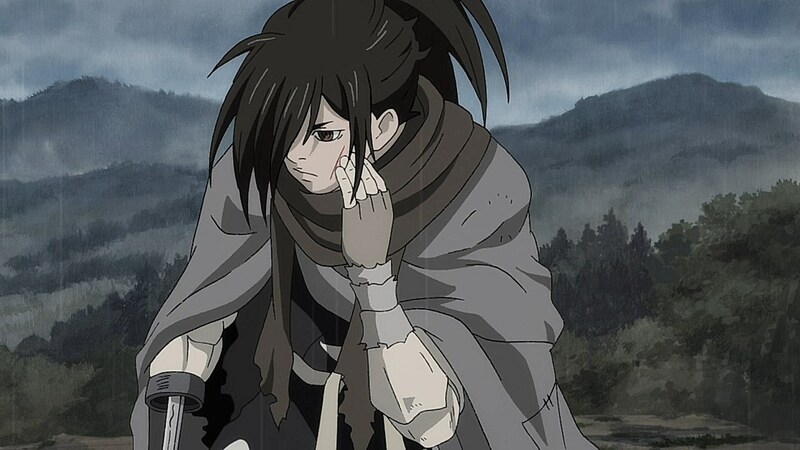 Hyakkimaru is able to initially separate Tanosuke from his blade, causing him to reunite with his sister Osushi. 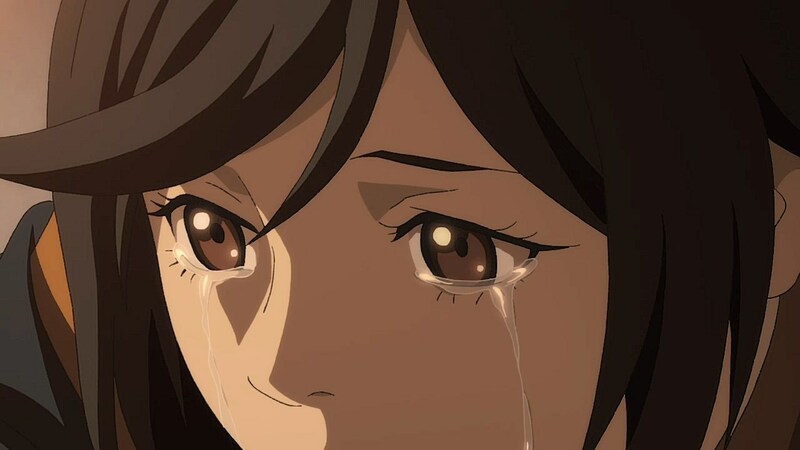 But instead of Osushi possibly connecting with her brother to help him regain the happiness he once had with her in their hometown, he remains obsessed with the blade. 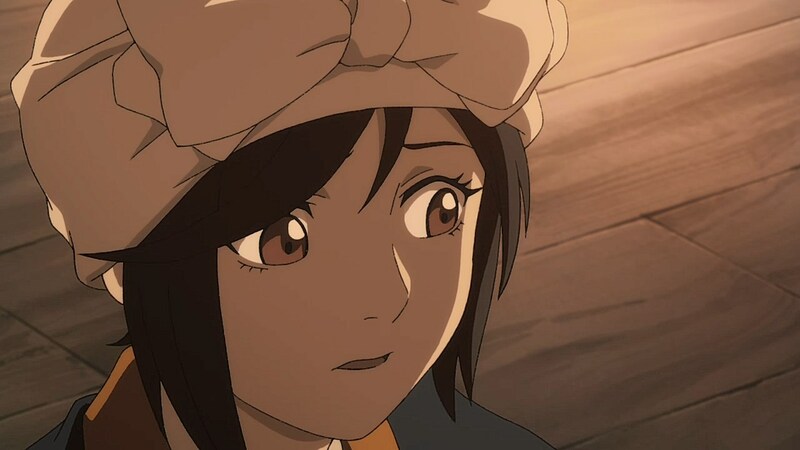 His one-track mindedness regarding Nihiru and its powers drive him to push his sister aside as he anticipates the moment he can grab the sword once more. 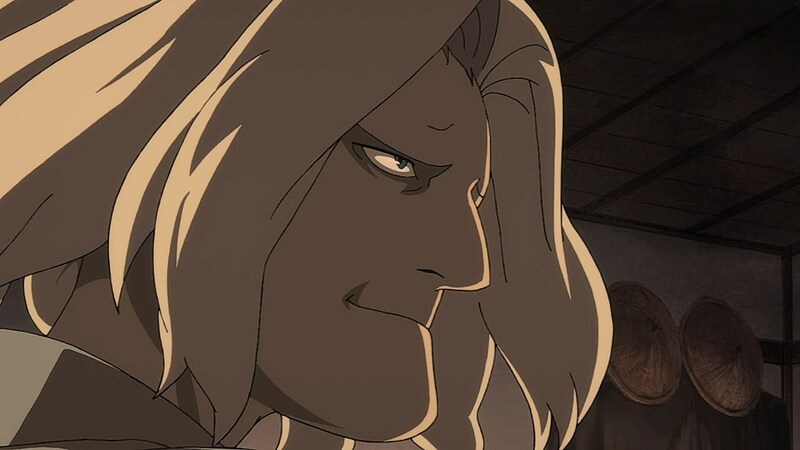 One thing that stuck out for me was how much Nihiru reminded me of Anubis, the corrupt sword Stand from Stardust Crusaders that had possessed Chaka, Khan, and Polnareff. 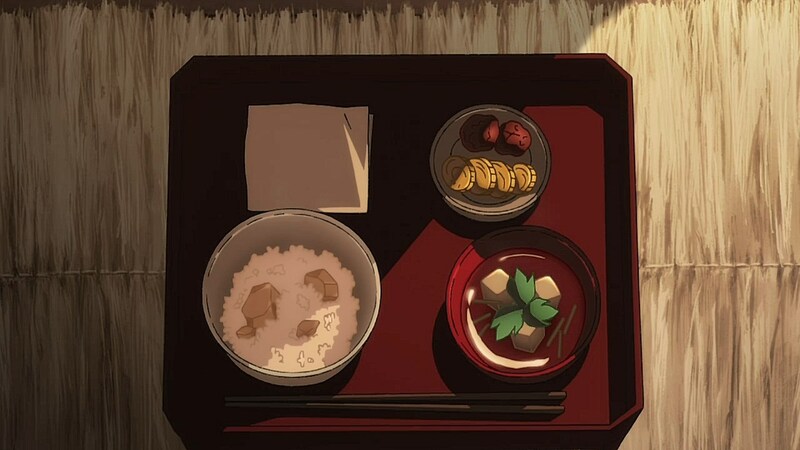 But rather than completely take over the next host, it seems to goad its user to feed it, and only then can its addictive qualities go to work. 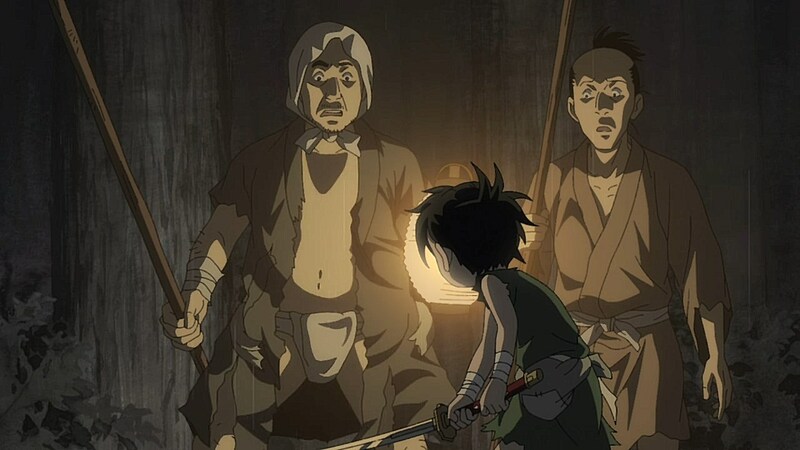 While Dororo was able to keep the sword away from him before he killed anyone with it, the story presses that it is far too late for Tanosuke to awaken from the curse the blade trapped him in, leaving him to face only certain doom in the process of having the demon vanquished. 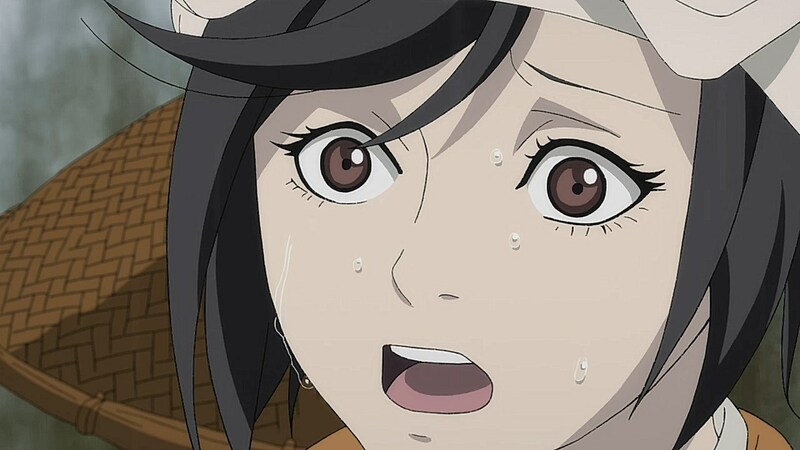 It isn’t a happy end for Osushi as she mourns her brother and her inability to save him from his perilous fate from demonic influence. But it does solidify that being targeted or afflicted by demons in the narrative means giving up a part of you that may never be regained to its fullest. 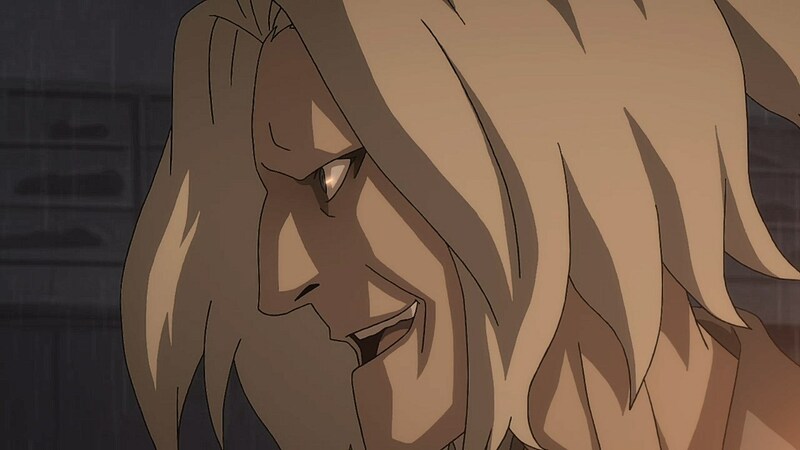 Although Hyakkimaru has been regaining much of the senses and organs that have been robbed from him, he also faces suffering in his challenges as the most recent sensations that have returned have worked against him. 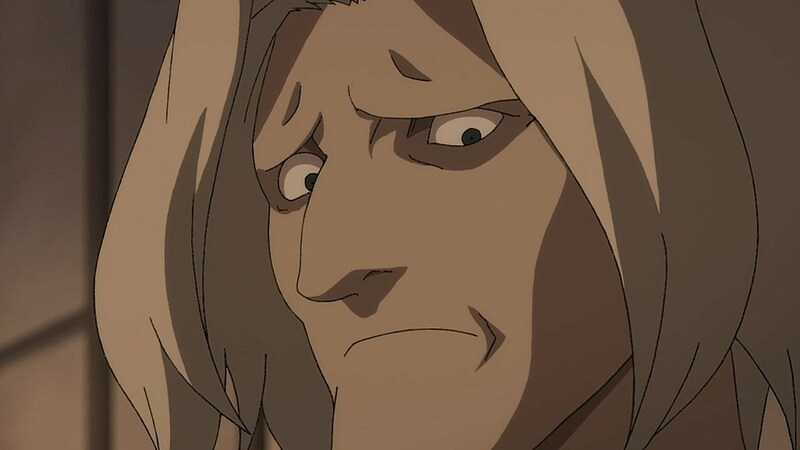 Feeling pain before he could hear, speak, or see is a cruel fate, especially now that he has to be careful about how he maneuvers through two fights with a man wielding a demon sword. 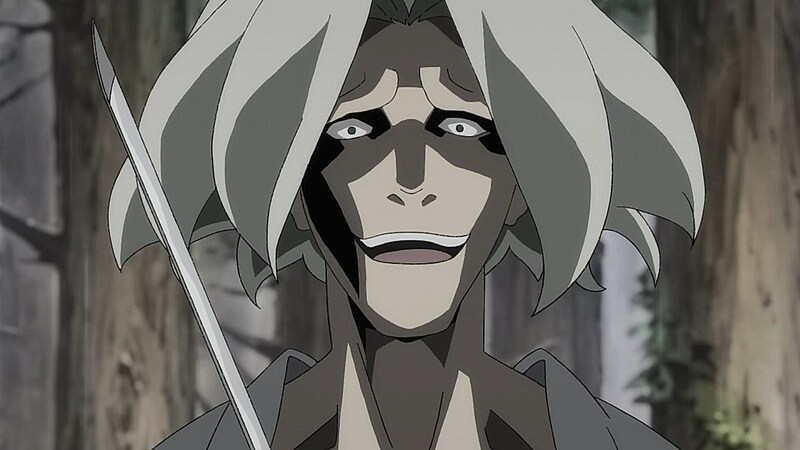 His lack of other senses had also resulted in his approach to disarming Dororo being outright whipping out his sword on him. 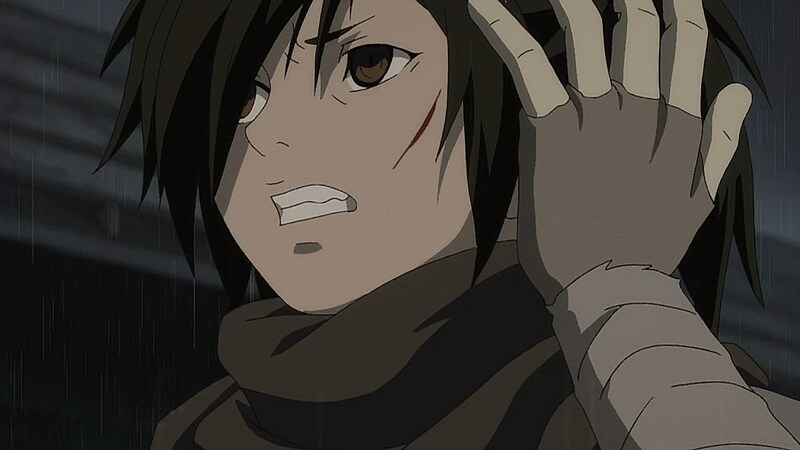 But one of the crueler ways that fate conspired to make Hyakkimaru feel guilt from his conquest for his limbs was regaining the ability to hear before Osushi shouted in despair for him to spare her brother. 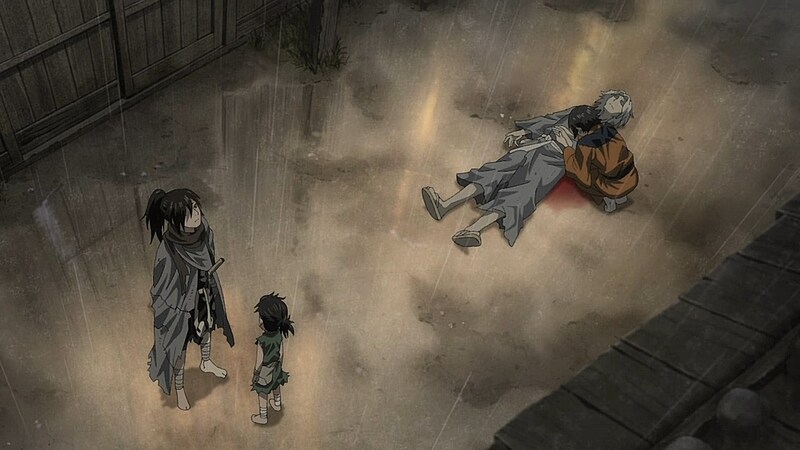 Because of this, the very first sounds that Hyakkimaru hears in his life are the pouring rain and Osushi sobbing over her brother who was slain by his hands. 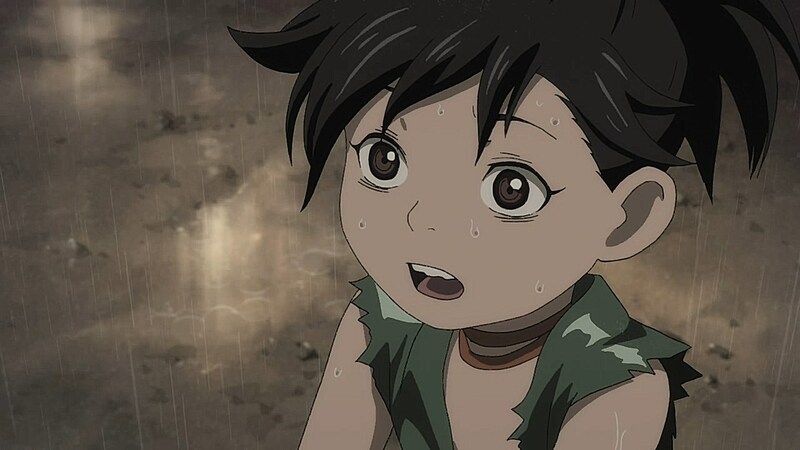 It was impactful for Episode 04 of Dororo to end on such a dour note for the siblings as Tanosuke could only smile from having been freed from the demon sword, but at the cost of his life and in the arms of his beloved sister. 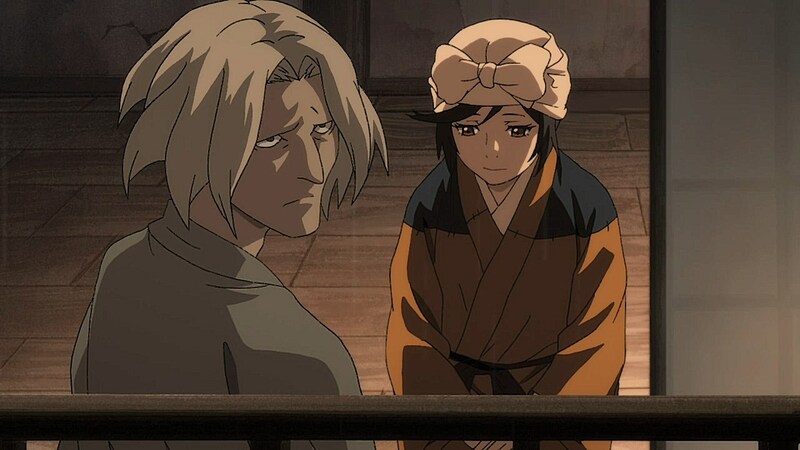 Although the end of the episode foreshadows on Daigo putting the pieces together that his first child may be involved with the slain demons, it was the siblings that had helped form the emotional core of Episode 04 to make it stand out so strongly. Never mind the new character with the bright red yukata, check out those awesome sounding japanese drums!! 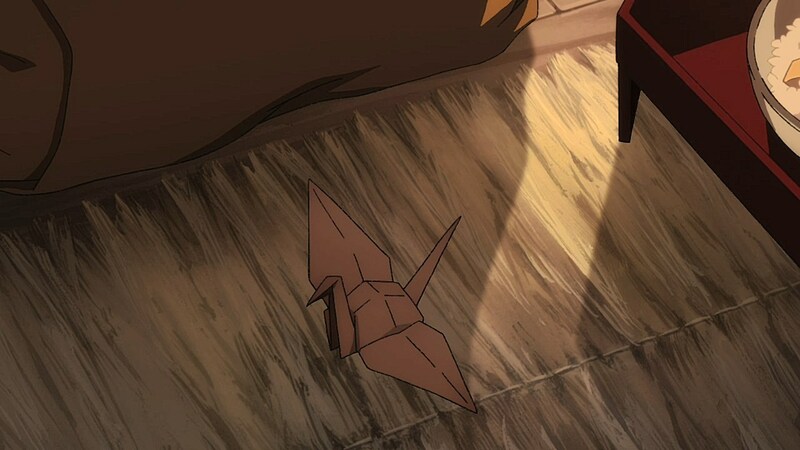 While Tanosuke kept pushing his sister away, seemingly unconcerned for her in his drive to recover the sword, it was interesting to see that he made one last origami crane before leaving, setting it down next to the pink one that his sister had brought out. 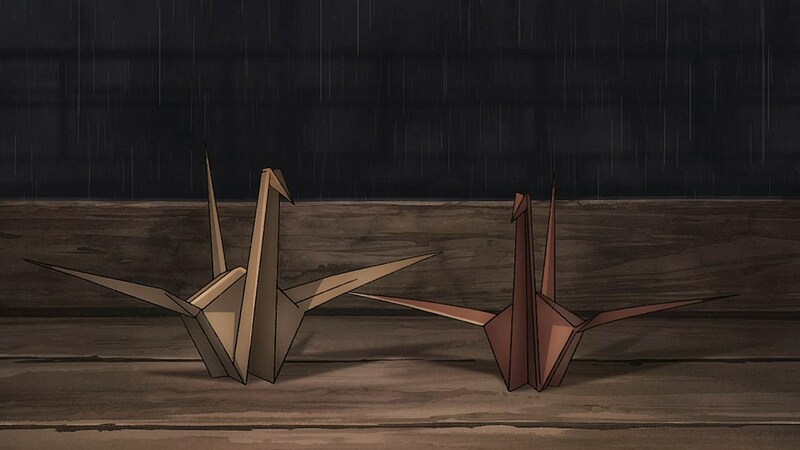 It felt not only like a farewell gift, but repeating his old behavior of folding a crane to get his sister to stop crying, perhaps in anticipation of what he hoped would be a final freedom from the sword’s curse. 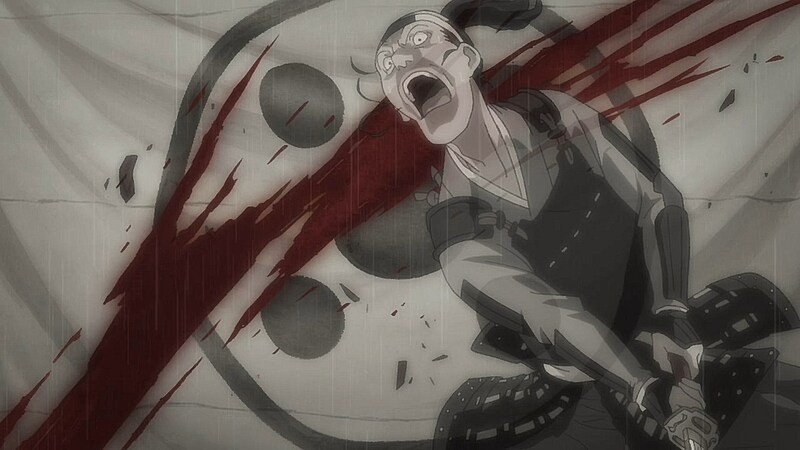 -Manga Tanosuke stabs himself with the sword to satisfy its bloodlust, rather than Hyakkimaru cutting him down. 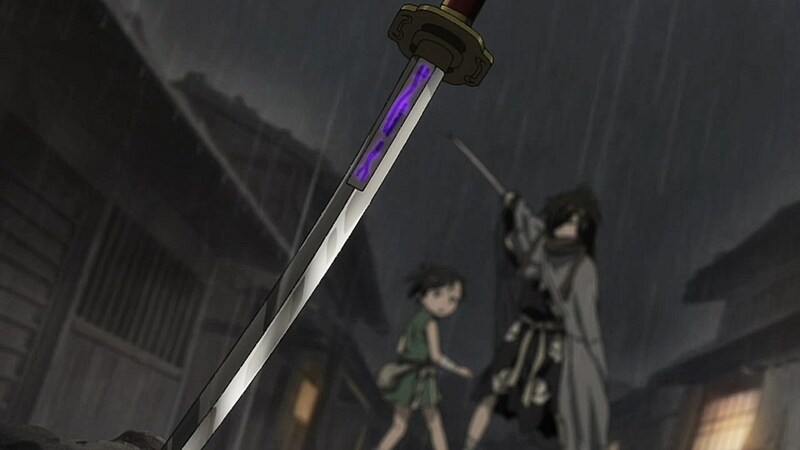 -Manga Dororo was more stubborn and insisted in claiming the sword as a prize, despite Hyakkimaru’s repeated warnings not to touch it. 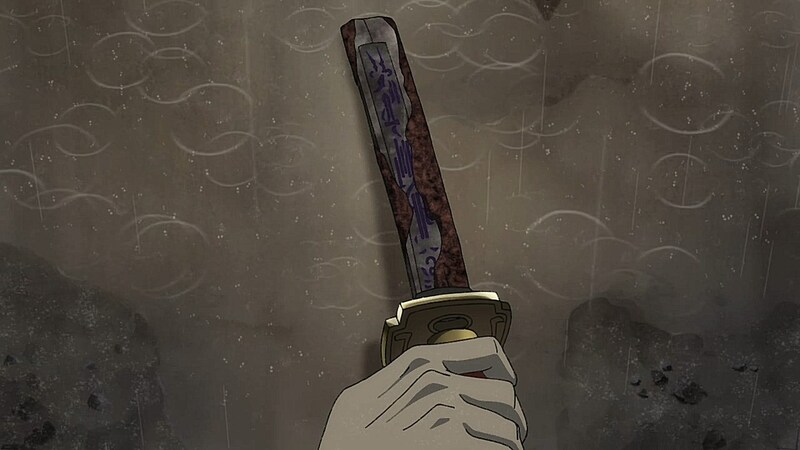 About the demons who took Hyakkimaru’s parts, i would understand if it were literal demons like in the first episode, but now we got a sword that took his hearing?!?!?!? what? i started to doubt logic behind it before as to why some of these demons would need say central nervous system, but now it’s a sword that took his hearing? excuse me, did they throw away the logic and used random number generator for the villains? 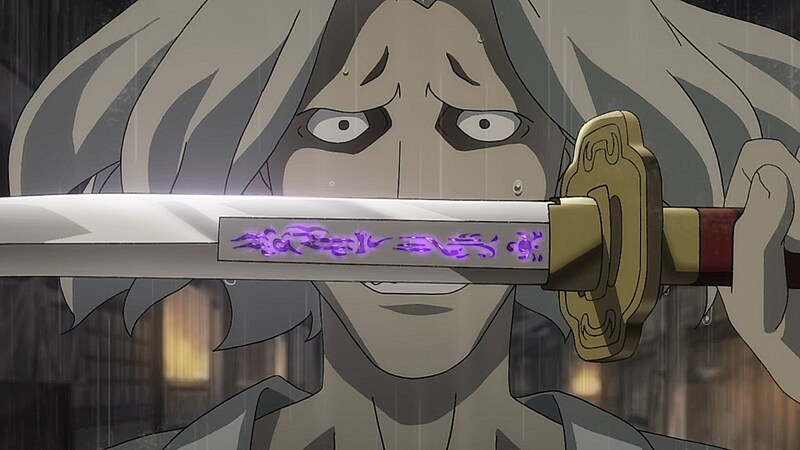 IIRC the manga explained the sword was possessed by a demon spirit, which had Hyakkimaru’s ears. 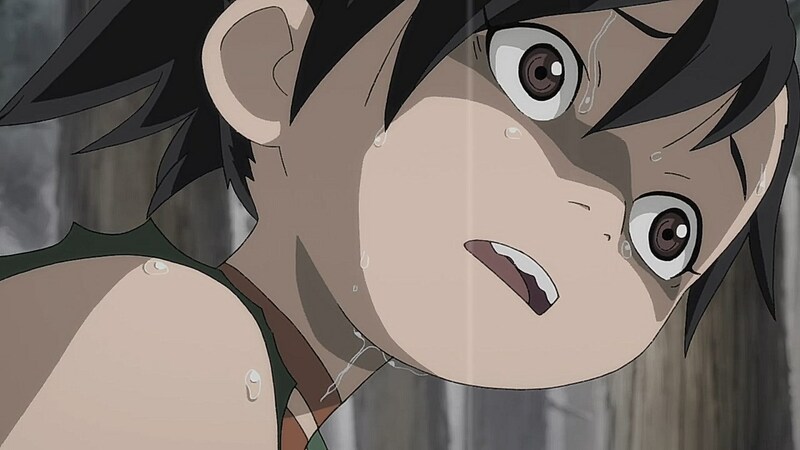 But yes, Tezuka got a bit random at times in the story. 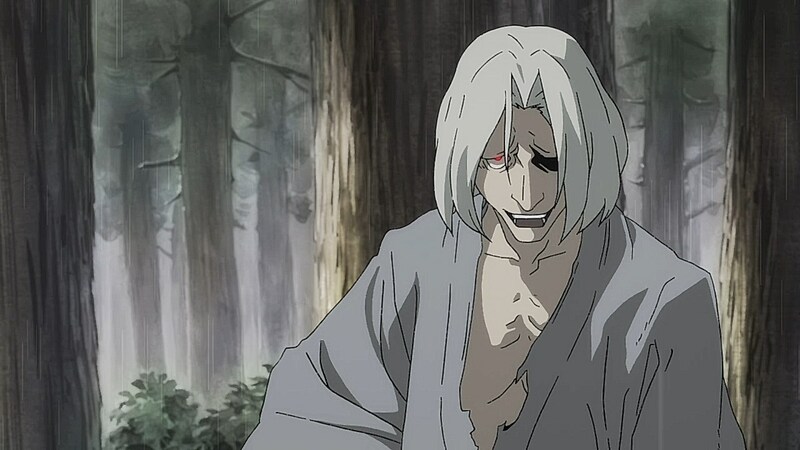 Also, some body parts for the anime are original, like the mud demon having Hyakki’s skin. 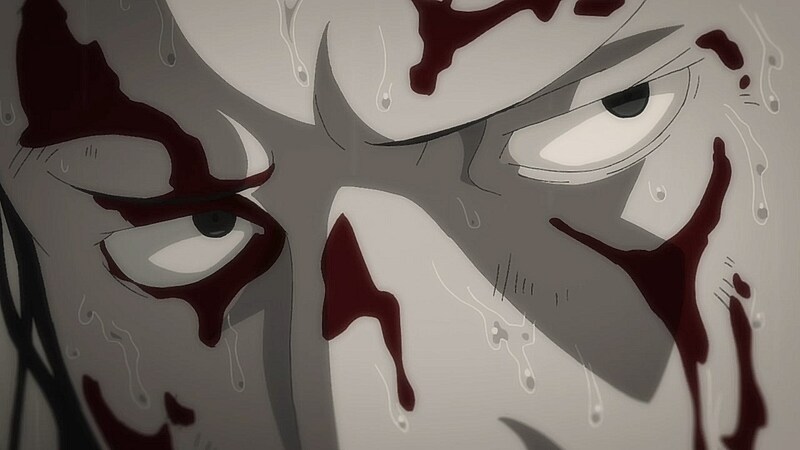 I think the body parts serve as anchors to the mortal world rather then as actual body parts. You’re looking at this too literally. It’s not a demonic sword that took his hearing. It’s the demon possessing said sword that did so. Think of it like, a car used in a robbery didn’t rob the bank itself, the guy inside the car did. But stopping the car also stops the robber. 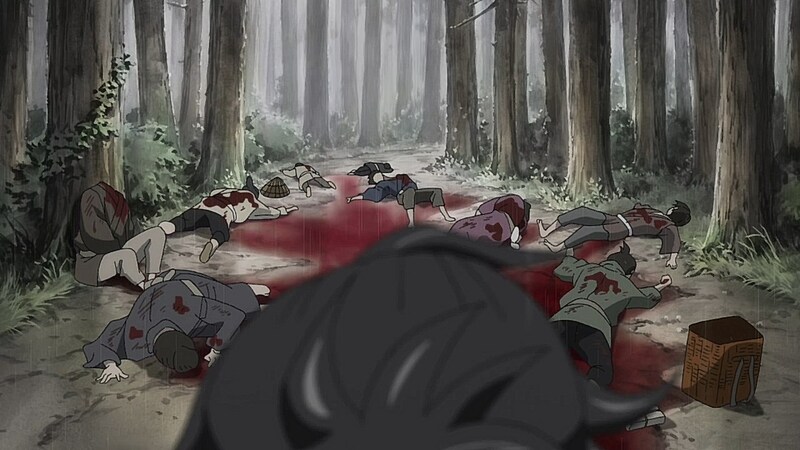 Somewhat surprised since I expected Osushi (Marina Inoue) to get accidentally killed by her brother. Maybe because each piece of his body he recovers reminds me of each city Kino visits. each piece is recovered uniquely — it’s not a monster-of-the-week sorta thing. I’m not sure how much of his obsession was truly just the swords influence. 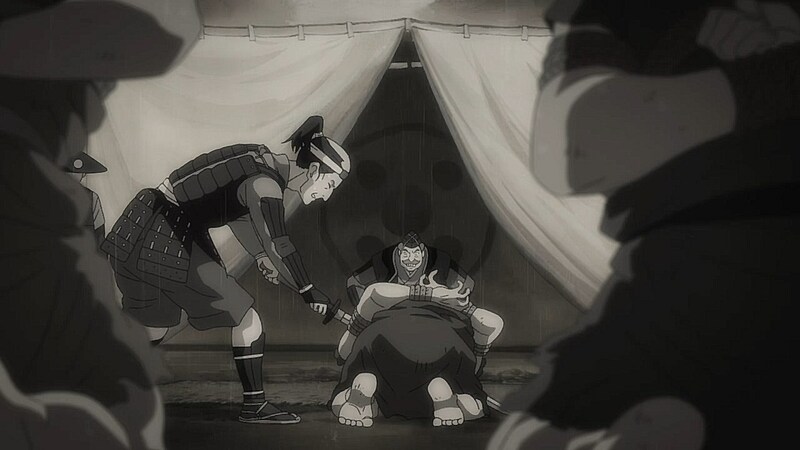 Looking at the cruelty of his lord when he ordered him to execute a man, then forced between choosing killing himself with Nihiru or continue living to reunite with his sister, it felt like the weight of what he did was too much for himself to bear so he accepted wholeheartedly the demon blade than return to her. 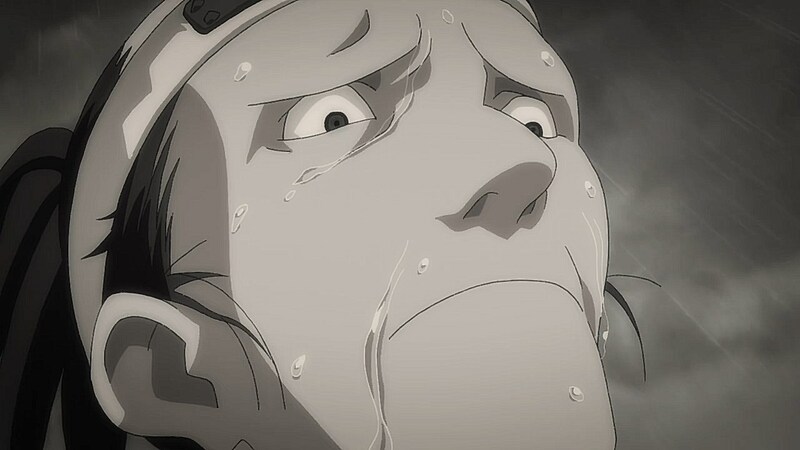 It reads to me like he sought death through combat, which Hyakkimaru granted him the second time even when he could sense no malice. Even his face after death looks like one who found peace. 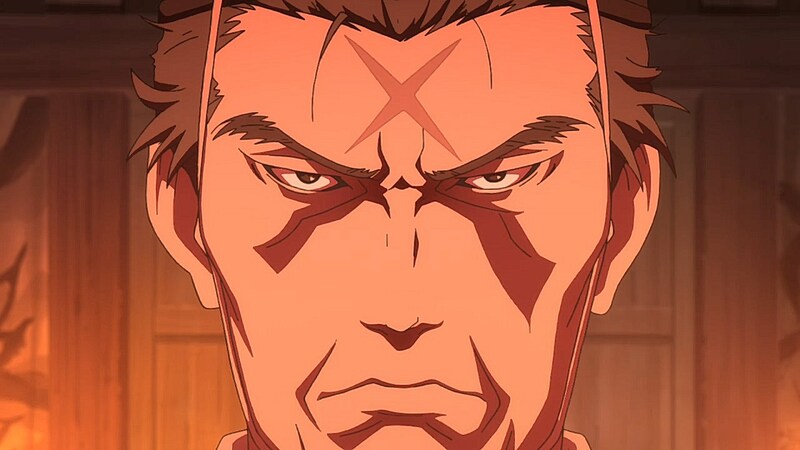 With the villages who fed a demon travelers willingly, Jukais past, and Tanosule having to execute a man for a cruel master, it seems more the real horror is the evil beget by man. Demons just happen to thrive off of human evil in the process. The last line of your comment is pretty much Tezuka in a nutshell.